Zero money down. * Limited closing costs. No monthly mortgage insurance premiums. Borrower’s choice of a fixed-rate or adjustable-rate mortgage. Sounds nice, right? 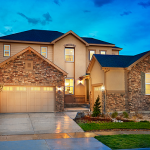 They’re all potential perks of financing your home with a VA loan, but you have to belong to a very particular subset of homebuyers in order to qualify for one. To assess your eligibility, see if any of the following criteria describes you. If you can check any of the boxes above, you may be eligible for a VA loan. Other conditions may also apply, and of course you’ll need to supply proof of service. VA stands for Veterans Affairs. Created by the federal government as a way to assist members of the military with homeownership, a VA loan is guaranteed by the Department of Veterans Affairs—lowering risk for lenders and offering favorable terms to qualified buyers. Learn more at benefits.va.gov/homeloans. 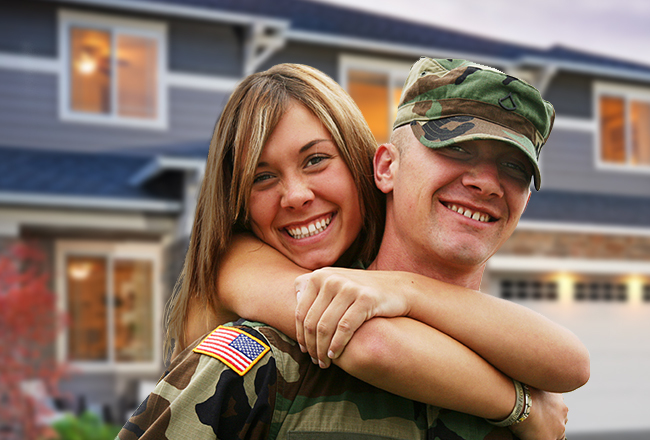 For more on house-hunting as a military homebuyer, check out our Military Homebuyer Guide. To speak with a loan offer about your home financing options, contact our affiliate, HomeAmerican Mortgage Corporation. *Earnest money deposit may be required.